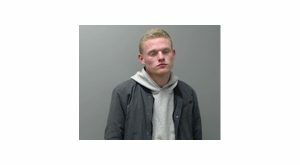 A Midway man's recent problems with the law began when a local business reported to police he was coming into the store and using display phones to access social media, but ended with him facing more serious drug-related charges.Eighteen-year-old Kane Gott Jr. appeared during a session of Baxter County Circuit Court Thursday and entered a guilty plea to charges of possessing drugs and drug paraphernalia and was put on probation for four years. Circuit Judge John Putman asked attorneys involved in the case to determine if Gott might qualify to be sentenced under the provisions of Act 346. The law, often referred to as the first offenders act, provides if a person remains out of trouble during his probation period, he can apply to the court to have his record sealed. Judge Putman said he wanted the Act 346 option looked at because of Gott's age. The judge told Gott, "It will help you go forward in life not to have a felony conviction on your record." In mid-December, a Mountain Home Police officer responded to Walmart to assist store management in escorting Gott out of the building, and making it known he was not to return because of the problem with the display phones. It was at this point Gott's legal problems grew more serious. As the MHPD officer searched Gott for weapons, he felt an object in the man's left coat pocket. According to the probable cause affidavit, Gott identified the object as a pipe used to ingest methamphetamine. When he was questioned further, Gott admitted having a small plastic bag of methamphetamine on his person as well.